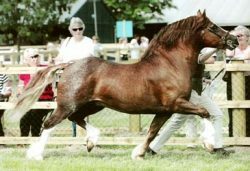 Welsh ponies of cob type and Welsh cobs of all ages usually for sale. Visitors most welcomed. Regular transport to most parts of the world undertaken.